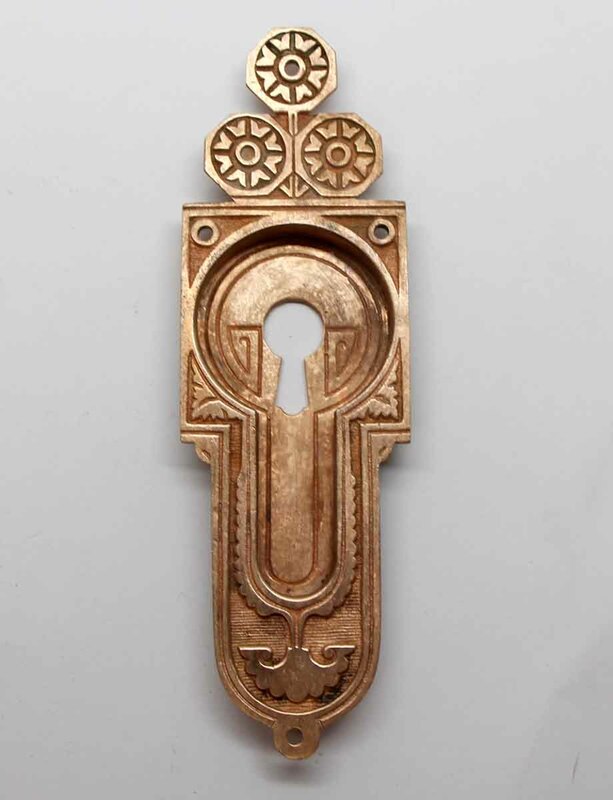 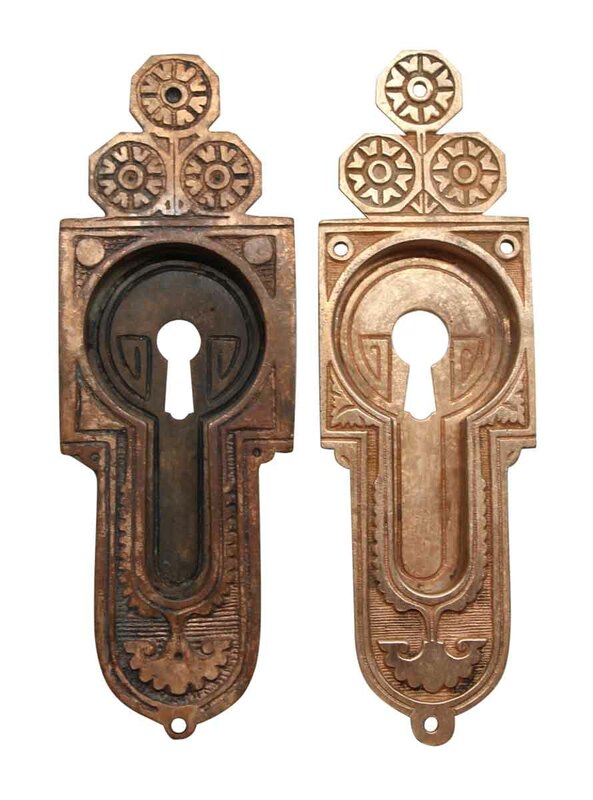 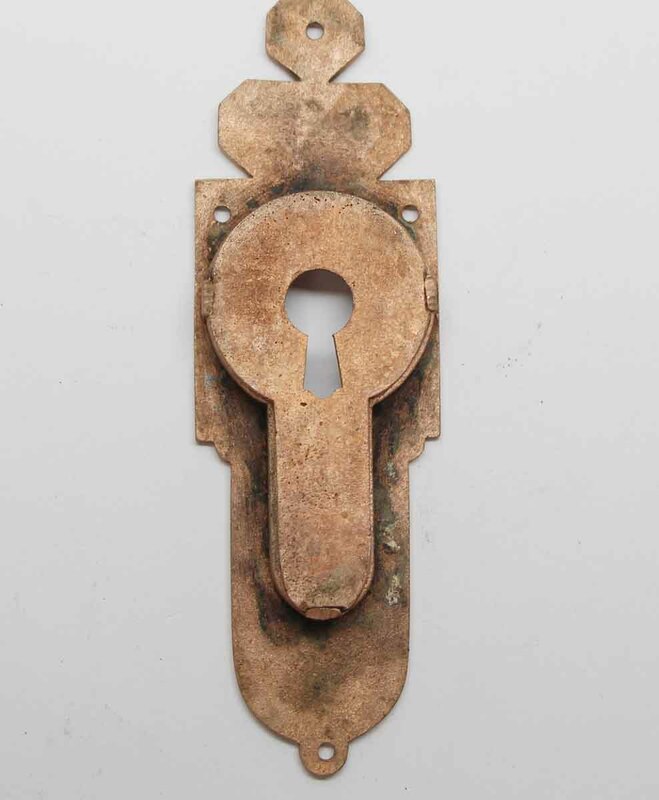 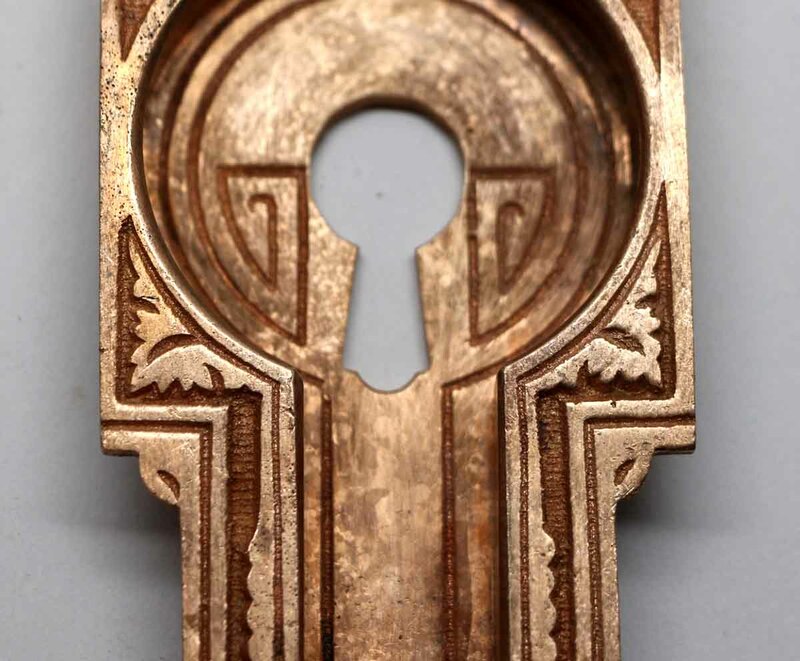 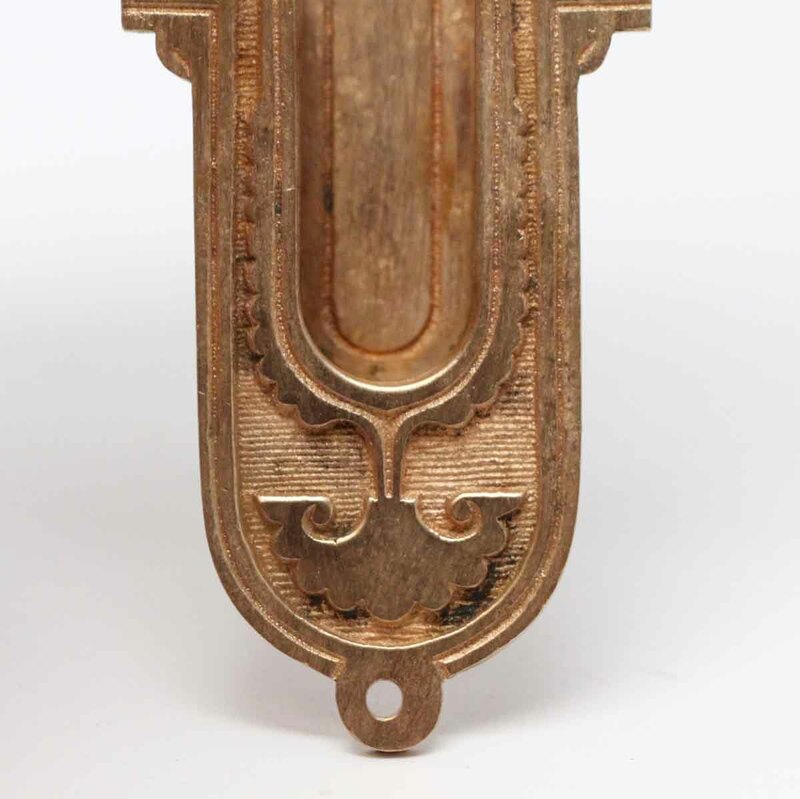 Victorian bronze ornate pocket door plates with keyholes. 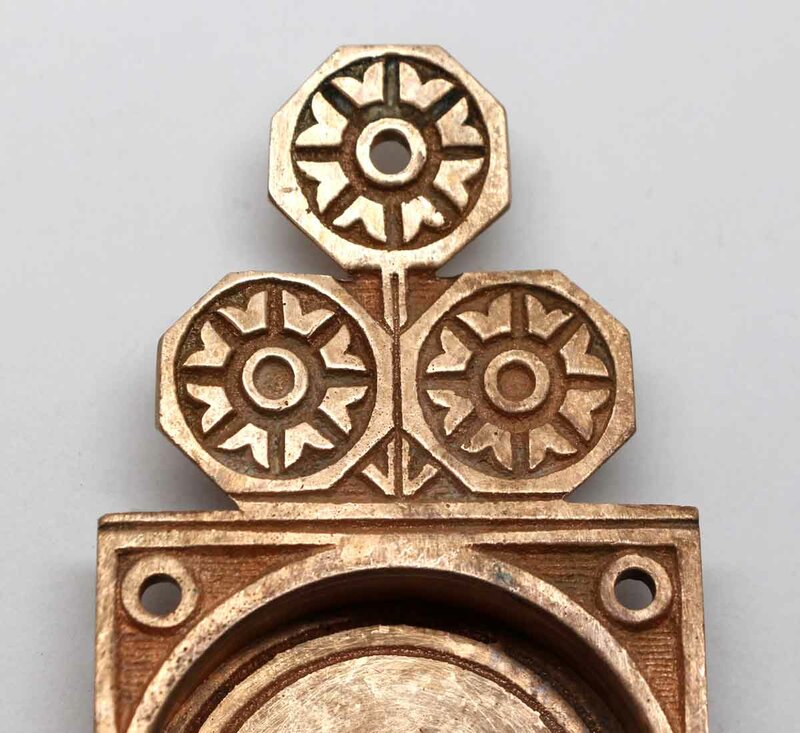 Some patinas vary. Priced per pair.